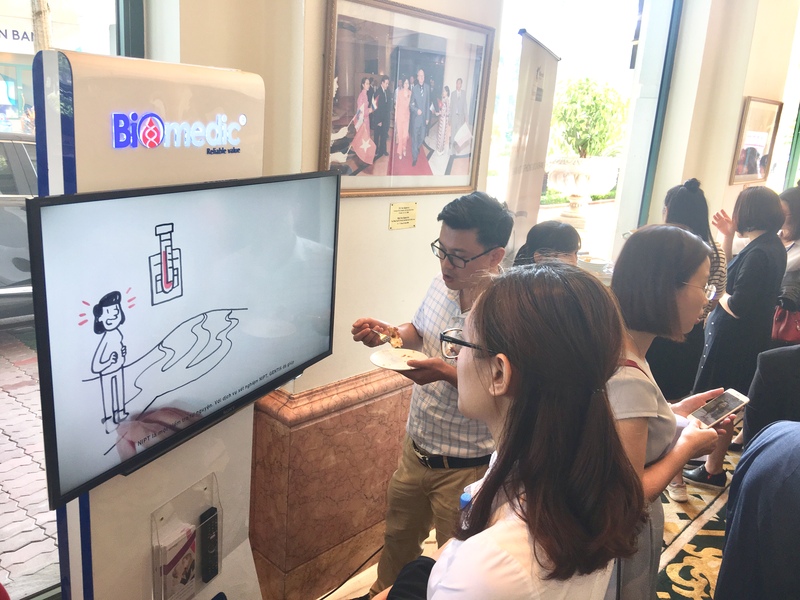 HomeNewsEventsBiomedic joined the conference “Genetic consultation in obstetrics"
Biomedic joined the conference “Genetic consultation in obstetrics"
In the framework of the event, many specialists in Genetics and Obstetrics and gynecology such as professor Bui The Hung (Karolinska Institute, Sweden), Assoc. prof Nguyen Duy Anh (Director of Hanoi Obstetrics and Gynecology Hospital) and Assoc. 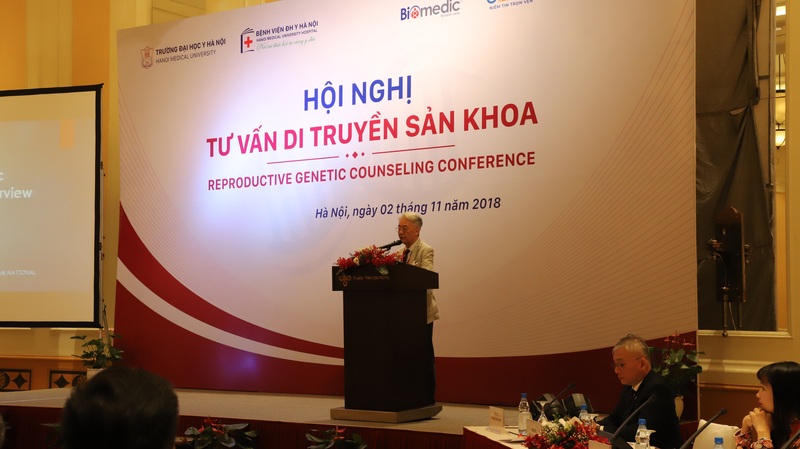 prof Le Hoang (Director of Reproduction Support center, Tam Anh General Hospital) delivered seven reports and discourses focusing on application of genetic analyzing in Reproduction support, prenatal screening and diagnosis methods in Vietnam in which NIPT is the typical method (Non Invasive Prenatal genetic Testing on Next generation sequencing technology from Illumina). 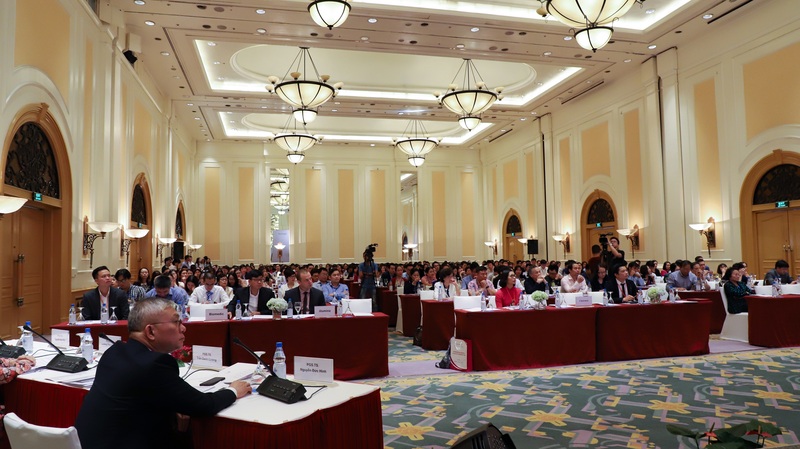 This conference truly became the space for discussing practical and scientific information which help clinical doctors update helpful genetic obstetrics and enhance their professions. In his report, Assoc.Prof. 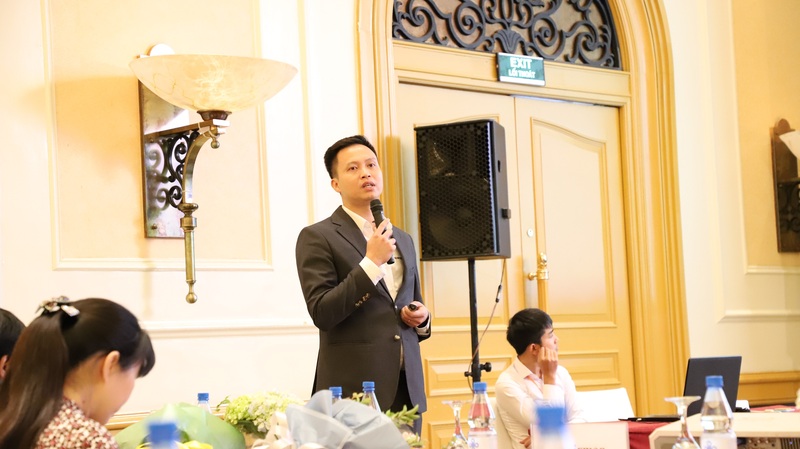 Tran Danh Cuong (Director of National hospital of Obstetrics and Gynecology) said that eggs would be degraded quickly in women above 35, therefore there is high possibility of secondary sterility, high risk in pregnancy and fetus with congenital malformation. 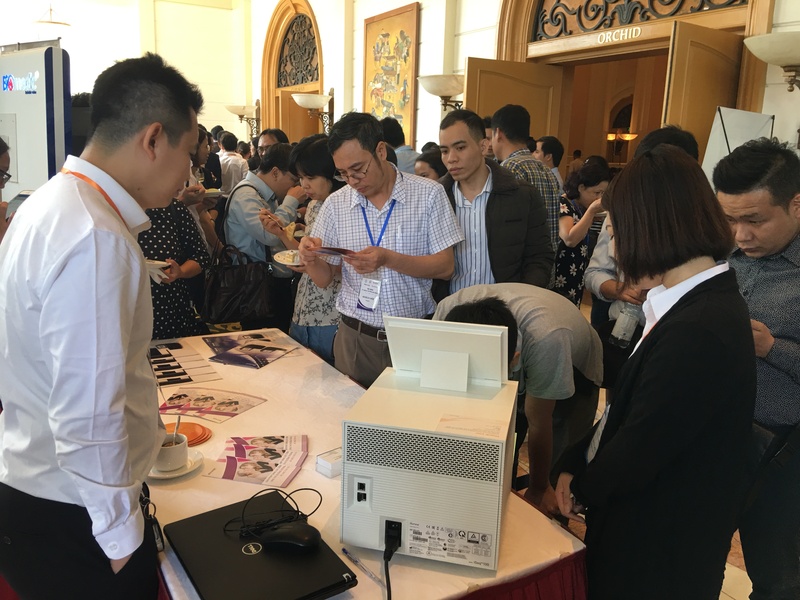 The application of reproductions support methods as well as embryo screening, fetus with congenital malformation prenatal screening are extremely necessary. 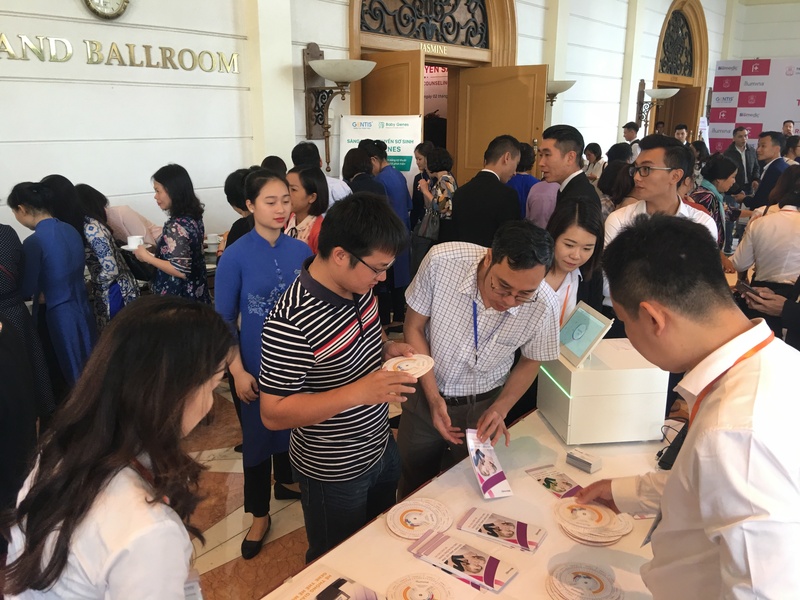 In many prenatal screening methods applied in Vietnam, NIPT (Non-invasive Prenatal Testing) is recommended by ISPD (International Society for Prenatal Diagnosis) as the first test for every pregnant women. Unlike invasive prenatal tests such as amniotomy and Chorionic Villus Sampling which can cause miscarriage with the rate of 1/500 , NIPT only uses 7-10 ml blood of mother which is completely safe for mothers and fetuses. 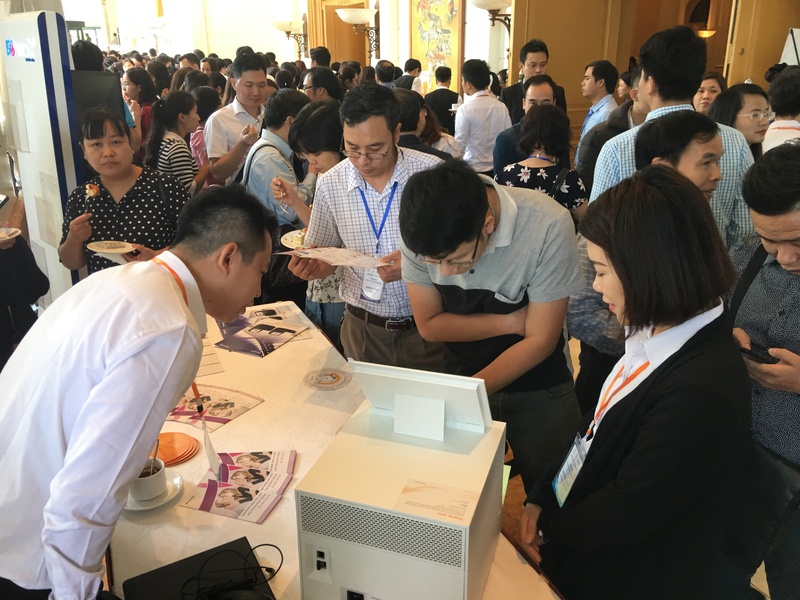 This method can be done at the tenth week, giving result with the accuracy rate of 99,98%, support doctors to give timely consultation for women in childbirth. 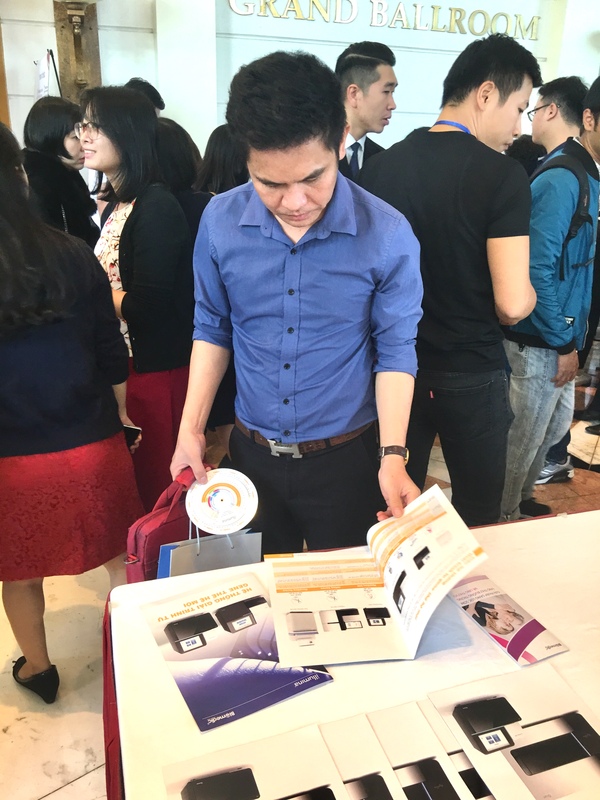 Gentis is the first agent in Vietnam which was technology transferred by Illumina, on the system of NextSeq 550 distributed by Biomedic. Until now, Biomedic transferred many Next – generation sequencing systems for hospitals and research centers nationwide. 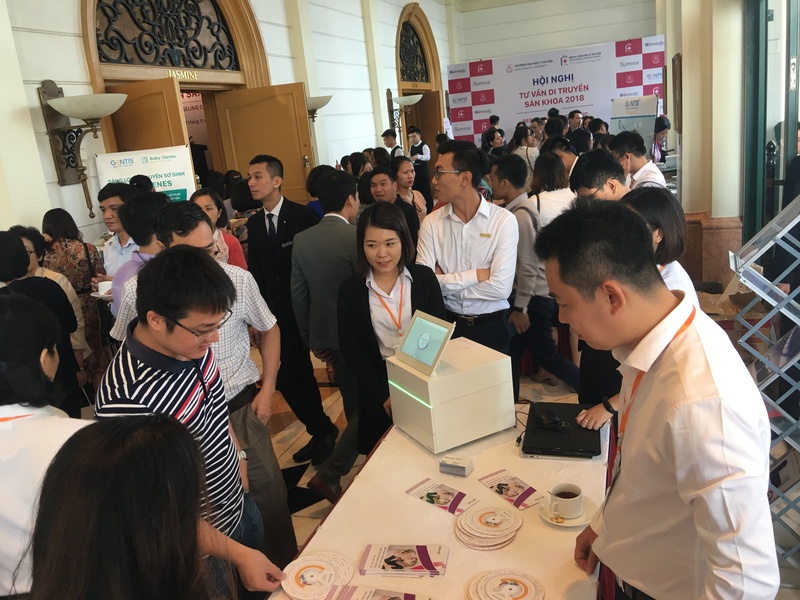 Lately, Biomedic has brought the first iSeq 100 to Vietnam, bring the optimal sequencing solutions for small scale lab. 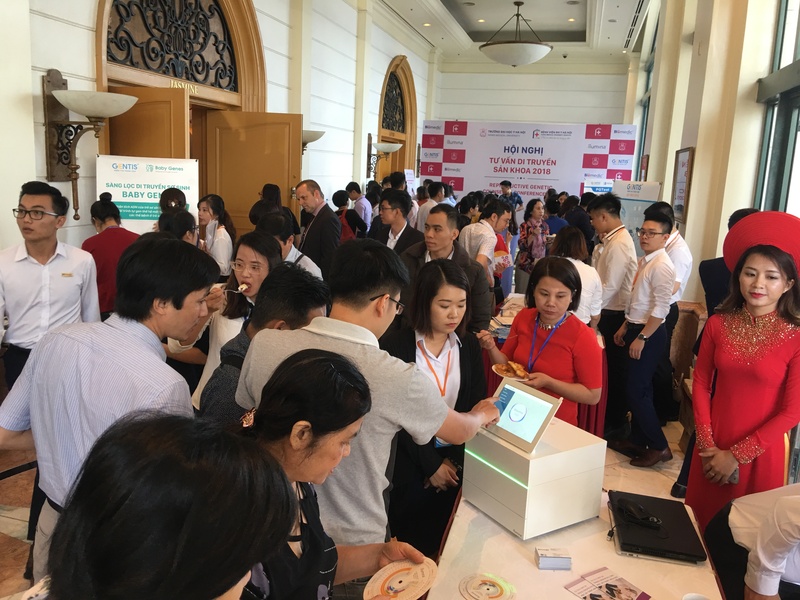 This conference was the space for discussing helpful practical and scientific information, it was also the bridge connecting technology and doctors of Obstetrics and Pediatrics. This was the premise for the future conferences.